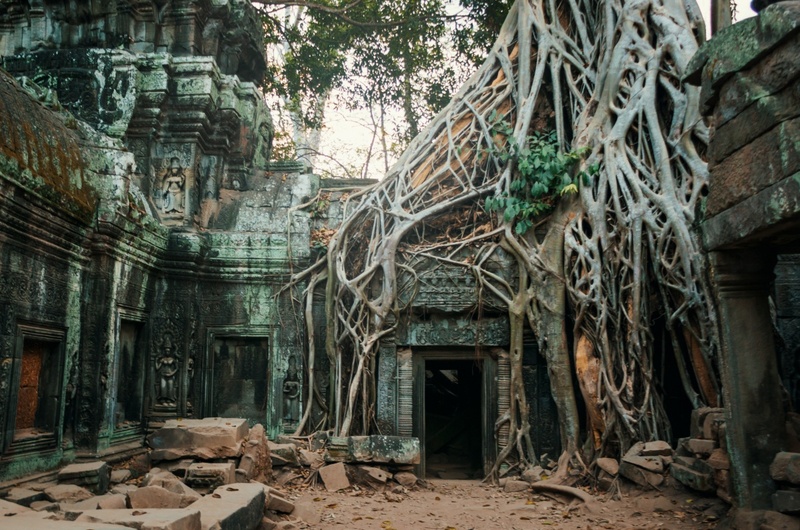 This photo of famous Ta Prohm temple was taken back when there were no fences around the sites and you could wander pretty much free everywhere. Ta Prohm is probably the most famous of the temples in Angkor Wat temple area in Siam Reap, Cambodia. It was also featured in pretty B movie Tomb Raider. Angelina Jolie was a bomb though. Tip: Start your day from here. Take a motobike. Don’t cycle around. It get’s too hot.